Healthcare facilities face a number of challenges with regard to their supplies, and many of those challenges can be met with a custom vending machine. 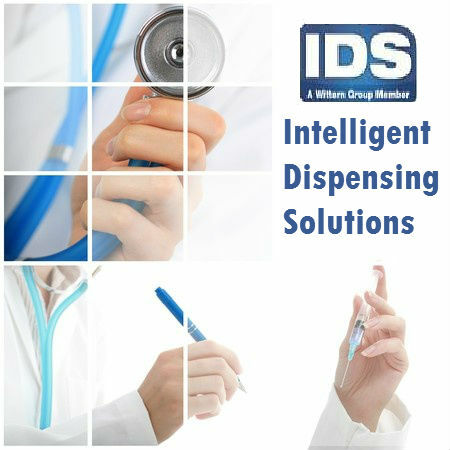 IDS is on the vending industry’s cutting edge by offering custom medical vending machines that can dispense tools and instruments, scrubs and even controlled substances, all of which come with numerous benefits. The iQ technology IDS uses in its custom machine allows for remote inventory tracking. Rather than having to physically visit each machine, medical administrators can access reports online to review each machine’s inventory. This feature saves time and improves accuracy, giving administrators a real-time view of the inventory at any given time. Custom machines can also machine time-stamp and catalog all withdrawals, only dispensing items to those with authorized access. Whether it’s a controlled substance, costly surgical instruments or a pair of scrubs, the custom machine will regulate the item’s access based on the swipe of an ID card, employee PIN or other access protocol. Inventory shrinkage is another issue that can be eliminated with a custom medical vending machine, particularly useful for the facility’s scrubs department. Scrub shortages and constant inventory depletion is often the result of employees not returning scrubs after use. A custom medical inventory control machine can address the problem by dispensing scrubs in an authorized user’s specific size and color, as well as giving him the option of returning soiled scrubs. This feature saves money and eliminates the mess often found in scrubs return areas. While healthcare facilities may continue to face a number of challenges across the board, keeping tabs on their supplies need not be one of them. A custom medical vending machine provides a top-notch solution that comes with numerous benefits.